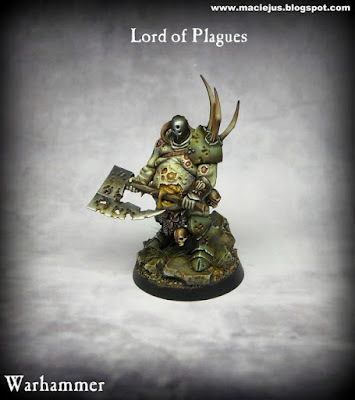 The Lord of Plagues model is a classic that every painted loves to take a crack at. From when it first came out in 8th edition to now, it's seen as a painter's model, and also a converter's model. I can't tell you how many conversions I've seen based off this guy. There are no conversions here, but it's the color palette and the paint job that catches my attention. 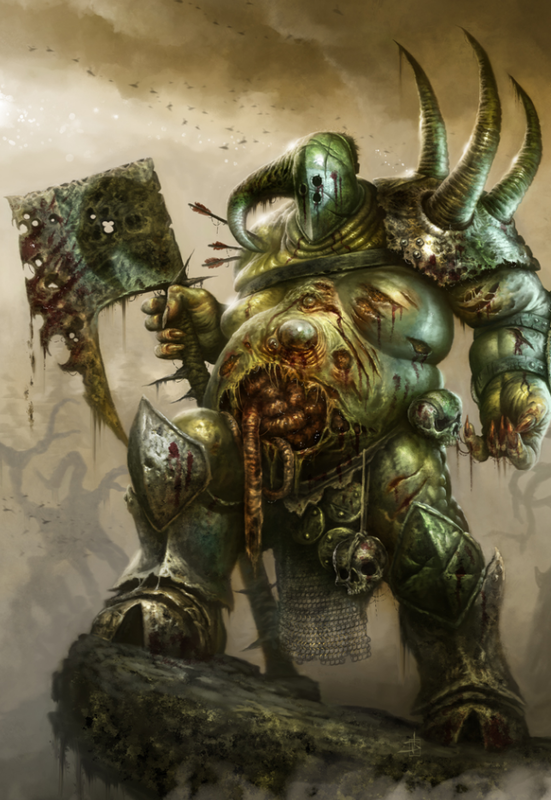 You really get the Nurgle feel from this guy, with everything being a shade of green or brown. 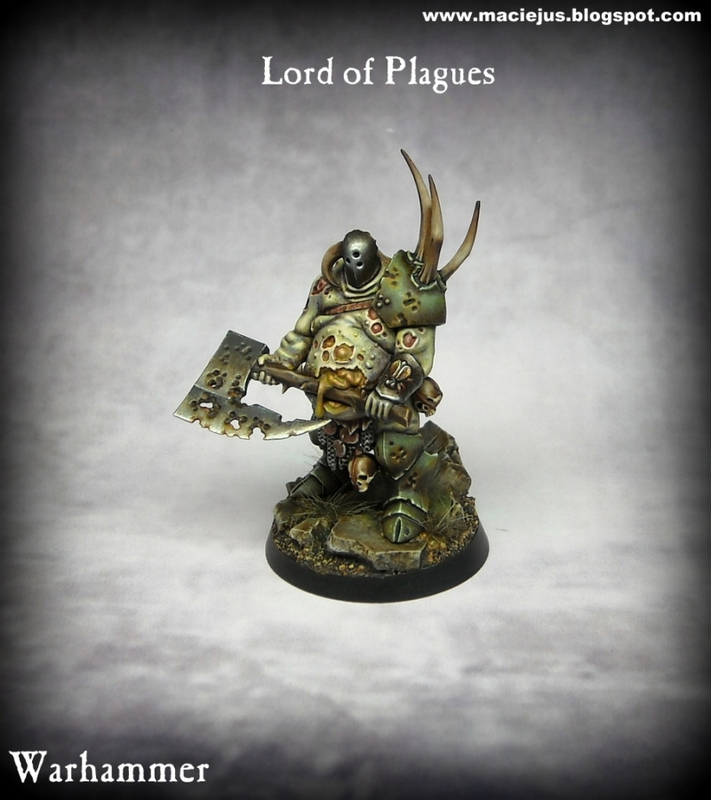 It has a distinct dirty feel to it in a way that's perfectly suited to the god of disease. While everything is blended very smoothly, it honestly the choice of colors that catches my attention. It's almost monochromatic. It strongly reminds me of their piece of artwork from the early days of AoS. In fact, I wouldn't be surprised to find out that this was the direct inspiration for the mini. There's something so cool about seeing some of the Warhammer artwork translated onto a model. While the pose may not be the same, the overall feeling and look definitely is. The base has been changed up a bit as well, building up the model a bit more and giving him a bit more height while framing him perfectly. The greens and browns even translate over onto the grey rocks, showing the spread of Nurgle's touch. 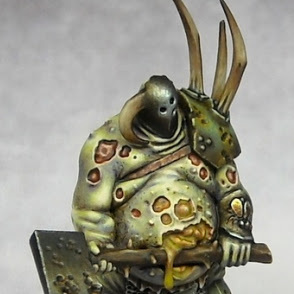 Overall I think this mini is an excellent study in atmosphere and color choice and would love to see more Nurgle models painted in this way.